Some photos capture more than the visual aspect, they go beyond the scenic and capture the imagination of the person behind the lens. Whether you are one of those who has been dreaming to embark on creating your photo tales but remain overwhelmed with the so called sophistication around the DIY or more formally known Digital Single Lens Reflex (DSLR) camera range, or you might be the one who believes that you might not be able to exert yourself beyond push of a button with a point and shoot digital still camera (DSC), this read should help you in making your pick. § As the age of Smart phone cameras emerge, the ‘low end’ point-n-shoot market is evolving into “bridge cameras” that feature long zooms and manual override capability, and sometimes RAW mode. Or just nice pocket cameras with a fair amount of capability relative to the smart phone. Likewise, the mid range is moving into low end DSLRs. § The consumer video camera market is shrinking. More and more people either use their smart phone or their “bridge camera” or DSLR to shoot video. It seems to be working for them. § The new generations of digital still cameras have Wi-Fi capability to upload photos and videos direct from the camera to YouTube and social media websites. This includes more sophisticated touch screen for better user interface experience. § The video camera market will exist mostly at the high end, in the near future. Think larger sensors (m43, APS-C) and interchangeable lenses. § It should not be a long wait before we will see some of the key players in this category introducing cameras with capabilities that allow ‘apps’ to make it smarter, just like your smart phone, or your tablet or notebook computer. § Lytro Cameras; The Lytro camera may be the most diminutive object to start a revolution. With its simple, rectangular form factor, the Lytro looks more ready to bestow the user with a half-dozen Oreo cookies than a totally new kind of photography. The Lytro is the world’s first consumer light-field camera. Unlike conventional models, a light-field camera captures all the light information from all the rays in its field of view — not just color and intensity, but direction as well. The method has a number of novel applications, the most publicized being photos that the viewer can focus after the fact. This is the DSLR with a very high demand in the market. The Canon EOS1100D is a 12 Megapixel DSLR with a 2.7” LCD screen. 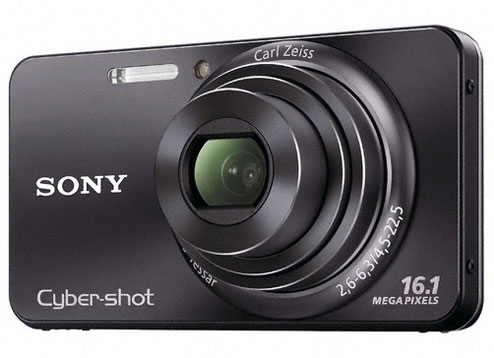 It has a wide area 9 point Auto Focus system with HD movie recording capabilities. This model has ISO 100-6400 sensitivity with Live View features and on screen feature guide. This DSF Jacky’s is selling this model for Dhs. 3099 along with a bundle including of 18-55mm DC lens, EF55-250mm IS lens worth Dhs. 1899 and a EF50mm 1.8 lens worth Dhs. 449. The bundle also consists of a 16 GB SD card worth Dhs. 99, a Carry Case and a Dhs.100 Jacky’s Gift Voucher. Along with this offer Jacky’s is also giving away premium Gifts worth Dhs. 350 in the form of Branded Perfume Sets OR Targus Pilot case along with the DSLR camera. A customer will have a total saving of Dhs.1599 with this bundle package. This is the DSLR with advanced features; it has 15.1 Megapixel with CMOS sensor, 3.4 frames per second with up to 170 JPEG burst, 3.0” clear view LCD with Live View, 9-point Auto Focus system and supports full HD 1080p movies. This DSF Jacky’s offers this model for Dhs.3199 with the 18-55mm DC lens along with EF 75-300mm lens worth Dhs.899 and other items in the bundle include battery grip worth Dhs.799, Dhs.200 Jacky’s Gift Voucher, 16GB SD Card worth Dhs.99 and a Carry Case. Also you get premium gifts worth Dhs. 350 in the form of Branded perfume set OR Targus Pilot case. A customer makes a total saving of Dhs. 1350 with this bundle package. This is a Pict-bridge camera with 14 Megapixel, 26x optical zoom, 3.0” LCD screen, 24mm Wide Angle Lens, ISO6400 sensitivity and Electronics viewfinder. This DSF Jacky’s is selling at Dhs.1699 with a Free LG 32” LCD TV worth Dhs.1099, 4GB Memory card and Case. Also you get premium gifts worth Dhs.300 in the form of branded perfume and cross pen. A customer avails a 40% saving with this bundle offer on the camera. Sony was the first ones to launch a 16.1 Megapixel camera with 5x optical zoom, 25mm Wide angle lens, 720p HD Movie recording, Optical Steady Shoot and unique feature of Sweep panorama. This model is one of the hottest products in the market with limited stock availability at most times due to its amazing performance and features. This DSF Jacky’s is offering this model for Dhs. 664 with a bundle promotion of 16GB card worth Dhs.100 Free along with a 2GB card and Carry Case. You also get a free cross pen worth Dhs.150 this DSF. A customer makes a saving of Dhs. 85 with this bundle. 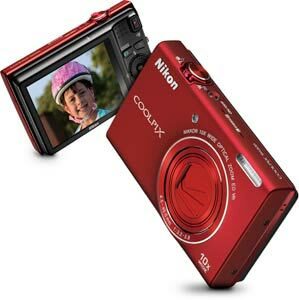 Nikon’s Coolpix S6200 offers this 16 Megapixel camera with 10x optical zoom, 2.7” LCD Screen, 720p HD Movie Recording, 18 optimized scene modes and USB charging abilities. This model is now offered at Dhs. 699 and was previously offered at Dhs. 999. You get a promotional bundle of 4 GB card and case. The DSF premium gift this season with this model is a cross pen worth Dhs. 150. Customer can save 30% on this bundle deal. 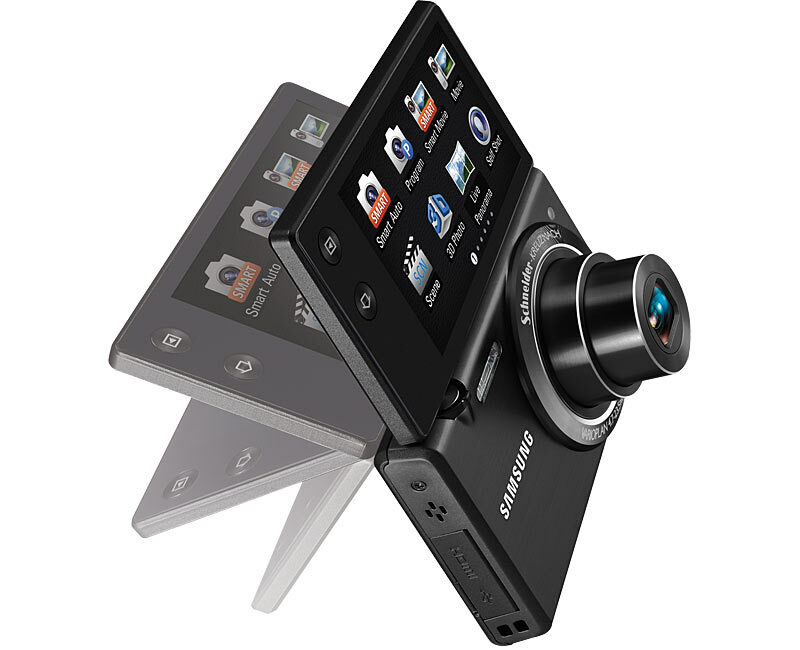 Samsung MV800 is 16Megapixel camera with Multi view Flip out Display; it has 5x optical zoom, 3.0” Touch LCD Screen with its Live Panorama and HD Movie Feature. Samsung has used its expertise in smart phones and tablets to create a unique digital photography experience with the interface of this camera being similar to that of a smart phone looking at the icons and the Apps. The DSF offer from Jacky’s is that it is priced now at Dhs. 999 with a free 4 GB SD card and case, earlier was Dhs. 1199. The DSF premium gifts this season with this model are a cross pen & branded perfume worth Dhs. 300. It is available in Black, Red, and White Colors. Panasonic has launched this Micro 4x3 Mirror less camera, making it a compact. It is an entry level camera in its category to be challenging as an alternative to the DSLR cameras. This camera features a 12 Megapixel with 3.0” LCD touch screen, 3D photo support, 14-42mm lens, Full AVCHD Video recording and it is the camera with world’s Fastest Auto Focus of just 0.1 second. This DSF it is priced at Dhs. 2599 with a Free 4 GB SD card and bag along with a Dhs.500 Jacky’s Gift Voucher. The DSF premium gift this season with this model is a branded perfume set worth Dhs. 350. Panasonic has Memory Video Camera this DSF with 78X Optical zoom which is very powerful. This Video camera has a 8 GB Flash Memory, 33mm Wide Angle Lens, Intelligent Auto Focus, YouTube Up loader, Advanced O.I.S, Wind Noise Canceller, 1.9 second Quick Power On and it is the only Video Camera to be Made in Japan. In Jacky’s it is selling for Dhs. 1199 and we are offering a Free Digital Still Camera Ls-5 worth Dhs. 379 and two 2 GB SD Cards, Tripod , Camera case, camera bag and Battery Charger. The DSF premium gifts this season with this model are a cross pen & branded perfume worth Dhs. 300. This is a hot offer product this DSF with the 1.5 Megapixel CMOS Sensor camera with 40x optical zoom, face recognition features, LED light, Advanced Image stabilizer, Time lapse recording and Dual Card Slot. This DSF Jacky’s is selling them for Dhs.1199 with free Dhs.100 Gift Voucher, 8 GB + 4 GB SD Cards, Tripod and Case. Previous price was Dhs. 1499 and with this bundle offer customer saves Dhs. 500. This camera is available in 3 colors namely silver, red and black. The DSF premium gifts this season with this model are a cross pen & branded perfume worth Dhs. 300. Have Ultrabooks failed before they’ve even had a chance to make an impact? If you listen to a lot of the analysts, journalists and industry observers out there, they would make you believe that this is indeed the case. The things is, I don’t think many of them have actually understood the opportunities that Ultrabooks possess. Case in point: there was a story that circulated in Fast Company this week entitled “Is the Laptop Dead? Yup” where the author of the story, Kit Eaton has essentially said ultrabooks are just another name for a laptop and there isn’t much of a future left for them. Most journalists including Eaton seem to see Ultrabooks as merely a Macbook Air competitor which may get some extra bells and whistles going forward such as touch screens or pico projectors. Another story that appeared in AllThingsD this week titled “Ultrabooks, the Ultra-Fancy New Name for Laptops” says it bluntly where the author, Ina Fried, says in short that Intel is playing a game of deception wherein they’ve simply just renamed laptops with a new term that allows it compete at a value similar to that of the Macbook Air. I’ve had the benefit of spending a decent amount of time with Intel to understand their vision of the Ultrabooks that shows you there is a lot more to it than the critics have given Intel credit for. What we’re seeing now and likely to see at this year’s Consumer Electronics Show (CES) is just the first generation of the Ultrabooks. Towards the latter part of 2012 and 2013 is when we’ll really see Ultrabooks take centre stage. Ultrabooks are a form factor that will mutate itself and be a cross between what we’re used to seeing in our conventional laptop computers, tablets and smartphones as we seem them today. The form factor will move beyond the clam shape designs that we’re used to seeing into candy bar, tablet or slider form factors. The operating system will be Windows 8 or possibly even Android. 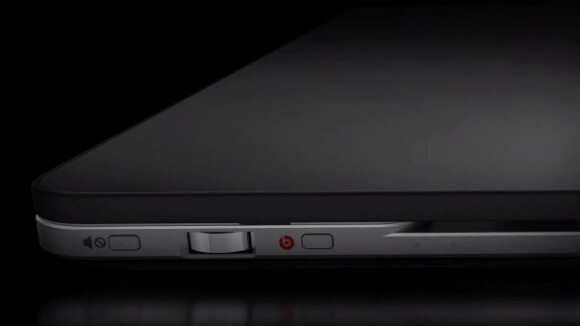 Ultrabooks will have touch screen capabilities. They will also most likely have a wireless video streaming technology so that you can work with your Ultrabook off your monitor, TV set or any other display device that you may have (Intel already has a WIDI technology that’s been around for years that can enable this today). The battery life could well reach 30 days and switch on instantly much like your tablet does today. You won’t switch off an ultrabook, you’ll put it into a standby mode like you do with your tablet. Ultrabooks will also be capable of downloading your mails even when they’re off much like your smartphone does when it’s standby mode. With all of this, Ultrabooks will move well beyond what conventional clamshell laptops of today do. To say Ultrabooks or laptops are dead is a premature statement. There is still life left to this but judge the category not by comparing it merely to what a Macbook Air is as who knows what the Macbook Air will look like later in 2012. Update (9th Jan 2012): Intel showed off some of what we can expect from their Ultrabooks with something called Nikiski. Engadget has got a video on their site and it's worth checking out (click here to see it). I hope to have see this tomorrow hopefully during the Intel keynote here at CES.